Elderly female pedestrian and male passenger die in St. Johns and East Portland crashes. Police are investigating two overnight fatal crashes, including a hit-and-run that killed an elderly woman described as "wonderful and incredible" by her family. According to police, at 10:23 p.m. on April 10, North Precinct Officers responded to reports of a pedestrian struck by a vehicle in the area of North Fessenden Street and North Polk Avenue. An off-duty Portland Police Bureau member reported the incident to dispatch and stopped to attempt to render aid. The pedestrian, elderly female, was pronounced deceased at the scene. He name was not immediately released. The vehicle believed to be involved was described as a red sedan. It was last seen traveling Eastbound on North Fessenden Avenue after the crash. The Portland Police Bureau's Traffic Division's Major Crash Team responded to investigate the crash. KOIN 6 News talked to the victim's daughter and grandson, who said she went out of her way to help everyone, including the homeless. Neighbors also expressed concern about the speed in the neighborhood and said no one obeys the speed limit, which was recently lowered to 25 miles per hour. 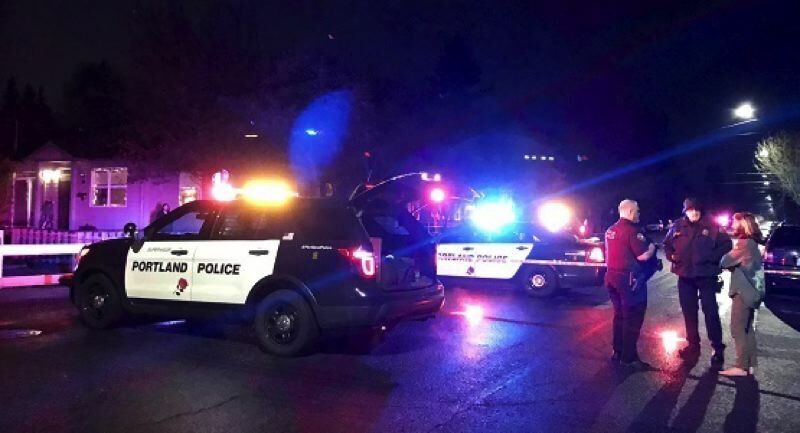 Then, at 1:37 a.m on April 11, East Precinct officers responded to reports of a vehicle crash in the area of Southeast Foster Road and Southeast 134th Avenue. A witness reported the crash to a nearby fire station, then left. When officers and medical personnel responded to the scene, they found a black Ford Expedition was found crashed into a tree and a pole. The passenger, an unknown age male, was pronounced deceased at the scene. The driver, an adult male, was extracted from the vehicle, provided emergency medical aid, and transported to an area hospital. The Portland Police Bureau's Traffic Division's Major Crash Team responded to investigate the crash. Street closures are in effect on Southeast Foster Road from 134th to 136th Avenues. Anyone with information about either crash is asked to call Portland police at 503-823-3333. KOIN 6 News is a news partner of the Portland Tribune and contributed to this story.